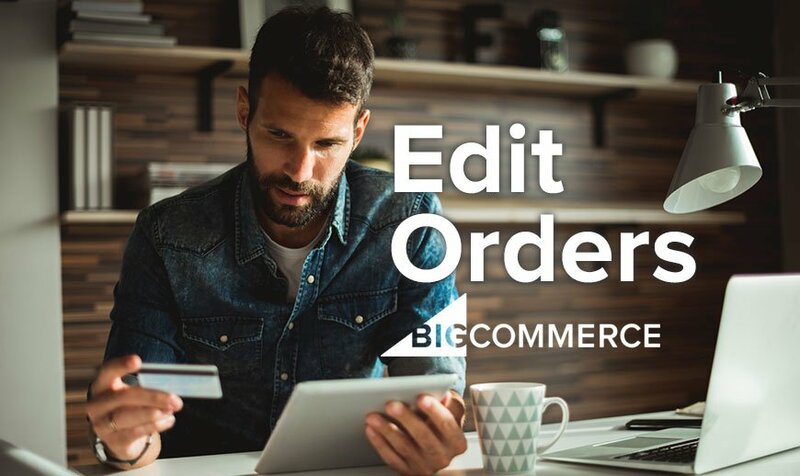 Edit Orders in BigCommerce Without Needing a Secondary App. Right now, one of the biggest names in ecommerce is Shopify. They offer a basic, streamlined platform that helps first-time Internet store owners get their online businesses up and running by shortening the learning curve and eliminating many of the complexities found in other ecommerce solutions. It is this simplistic approach to ecommerce that has helped earn them 300,000+ merchants. Conversely, by removing the more advanced aspects of ecommerce platforms, Shopify limits the growth potential of their userbase (as previously discussed in our article, The Shopify Ceiling) by inadvertently creating a handicap. Of course, some of these essential ecommerce features and functions can be reinstated into Shopify by way of supplemental apps, either supplied by Shopify themselves or by 3rd party developers. However, because not all apps come from the same source, they do open the door for compatibility and reliability issues. The more apps are added, the greater the threat becomes. BigCommerce, on the other hand, retains many of these features within the core platfrom, thus making their platform the more well-rounded solution for online business owners and operators. One such feature that comes standard with BigCommerce and has been eliminated from Shopify is the ability to edit orders. You would think that a feature as simple as editing a customer order after the order has been placed would be an obvious built-in feature, but that is not the case. It’s been a hot topic for discussion more recently (see comments section on this recent Shopify post), and even as far back as 2009. With BigCommerce, you don’t need to purchase a potentially-problematic external app (that requires a monthly payment) just to regain the ability to change customer orders. Read on and we’ll show you how to edit customer orders with BigCommerce. NOTE: Editing a paid order will not change what the customer was charged at the time of placing the order in question. If the amount charged is incorrect, cancel and refund the affected order and then place a new one with the updated amount. Go to Orders > View. In the Action column, click on the icon (…) to the right of the order you wish to edit and select Edit Order. Click Next to follow the steps to each of the order’s sections. Customer Info – Update the customer’s billing information. Items in Order – Add or remove products from the cart, adjust quantity, change price. Shipping – Update the destination to single or multiple addresses, modify the customer’s shipping address, and change the shipping method used. For the final step of the process, if an order HAS NOT ALREADY BEEN PAID, you can modify the price accordingly and process payment. You can use one of your pre-configured payment gateways, or you can choose Manual Payment. This will mark the order as Paid (Awaiting Fulfillment) status without prompting an online transaction. You will also have the option to send the customer an EMail with the updated invoice. TIP: The Manual Payment option can be used to mark a paid order that was made offline such as an over-the-phone order or an in-person paid order. The Orders Summary section is also found in this part of the final step. This is where you can apply a discount to the order, enter a coupon code, or a gift certificate code. Click Save & Process Payment once you have completed making your changes. Congratulations! You now know how to edit customer orders in BigCommerce. Diztinct is a design partner for both BigCommerce and Shopify. We offer design, development, and marketing services for online merchants of all sizes. We would be happy to help you with any and all of your BigCommerce or Shopify needs. Contact us today.